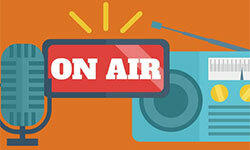 What is convention advertising? 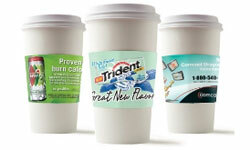 The definition of convention advertising is advertising that is visible to conference/convention/trade show/exhibition/exposition attendees and exhibitors. Convention ads (also known as conference ads, trade show ads, exhibition advertising and exposition ads) is a category of marketing that includes promotion of an exhibitor's booth, products or services to convention attendees. 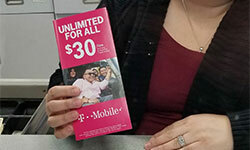 It generally includes any advertising display visible to attendees on their way to the convention, conference, trade show, exhibition or exposition. 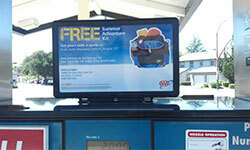 Convention ad formats include airport ads, street furnture ads - such as bus shelter ads, newsstands and kiosks, taxi ads, mobile billboards and more. Basically, anything that is seen by visitors to the convention or conference. 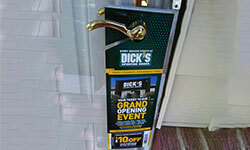 Conference ads are available in most large markets and near most convention centers. 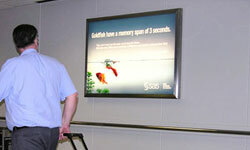 Airport ads reach attendees and exhibitors as they arrive and depart from the hosting city. 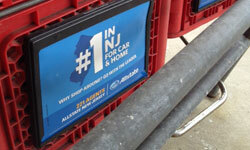 Street furniture ads reach the same demographic as they walk or drive around the venue. 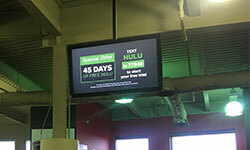 Taxi ads are visible to attendees and exhibitors as they commute back and forth from the venue or travel around the city for meetings and food and entertainment. 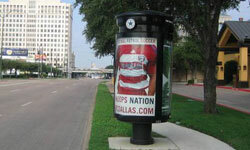 Mobile billboad trucks have ads on both sides that reach attendees as they enter and exit the convention center or nearby hotels and restaurants. 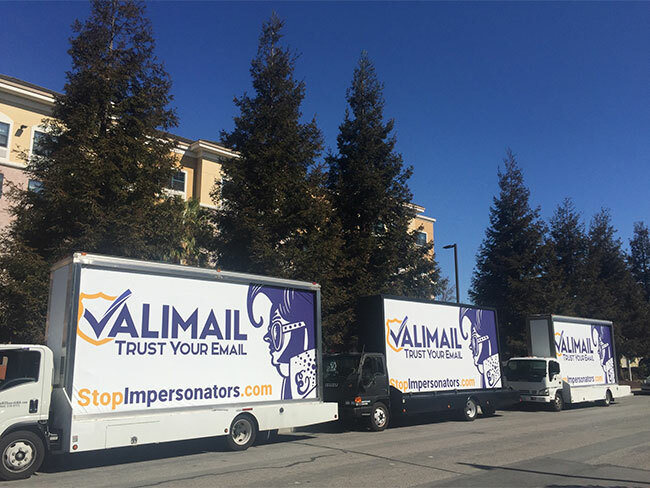 Valimail used three mobile billboard trucks to circle around the San Francisco Moscone Center for three days of the RSA conference. 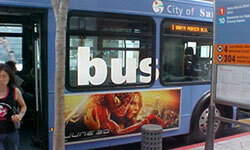 Attendees and exhibitors saw the ads as they entered and exited the convention center. The trucks drive in a staggered fashion and are quite impactful when seen on the street. 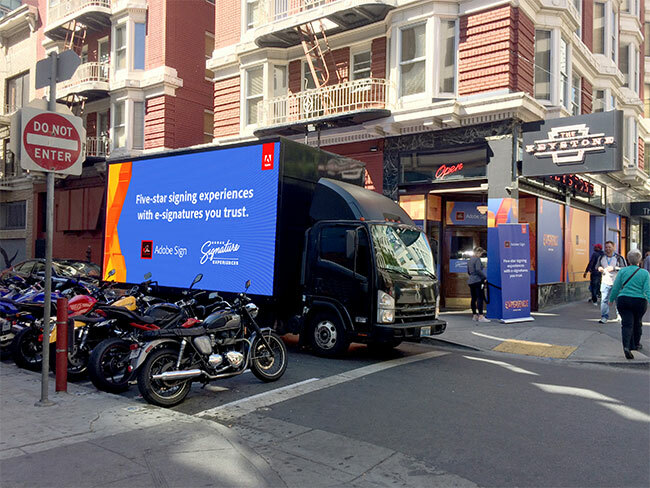 Adobe used multiple digital billboard trucks to circle around the Moscone Center and surrounding building in San Francisco to promote its Sign product during the Salesforce Dreamforce Conference. 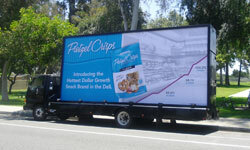 The digital trucks are bright and visible from a distance. The trucks spent most of their time circling the main convention center and then circled the surrounding parties and events. The four day event produced lots of impressions for the software maker. 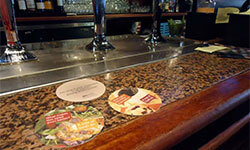 • Airport Ads (click for details): Range of $3,500 - $30,000 per ad per 4 week period. 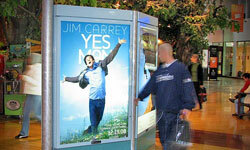 • Street Furniture Ads: Range of $750 - $6,500 per ad per 4 week period. 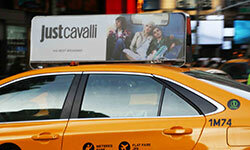 • Taxi Ads: Range of $200 - $500 per ad per 4 week period. 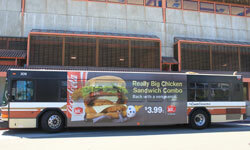 • Mobile Billboard Ads: Range of $800 - $3,600 per ad per day. 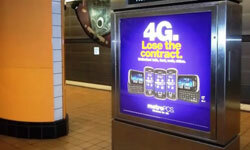 Minimum of 3 to 50 ads, depending on timing and market. 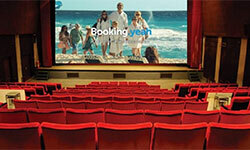 All convention ad rates and minimum ad figures depend on timing and market and availability may change without notice. 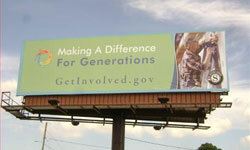 Government and nonprofit organizations may receive a discount on convention advertising media. Est. Impressions/Views: Range of 12,000 to 15,000 per ad per day. Size: 62" W x 43" H.
Est. Impressions/Views: Range of 9,000 to 17,000 per ad per day. Est. Impressions/Views: Range of 9,000 to 12,000 per ad per day. Est. Impressions/Views: Varies according to cities and routes. Popular convention centers include following (listed in order of popularity). 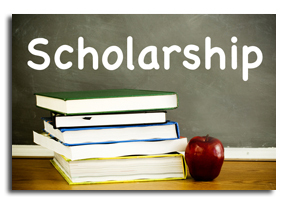 Also inquire about others not listed. Popular conventions/conferences/trade shows/exhibitions/expositions include the following (listed in order of occurrence on a calendar year).